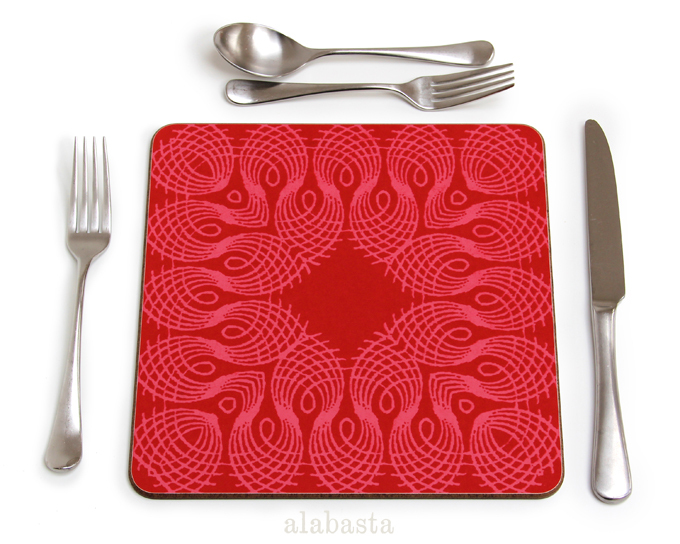 I'm really pleased to say that we now have some very lovely placemats to add to the Alabasta range of home accessories, this time in conjunction with Avenida Home. 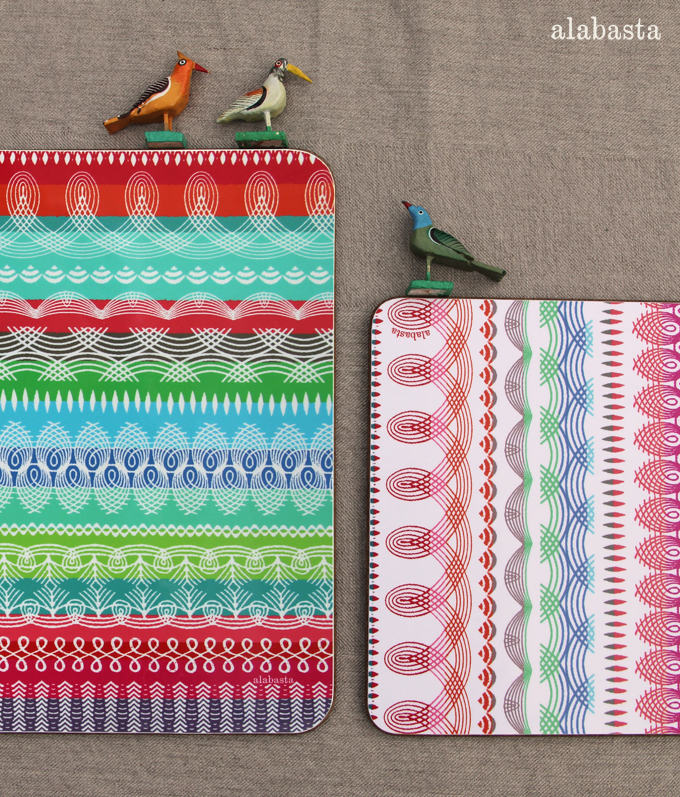 Avenida Home is a new home accessories company set up by Isabel Saiz who is also the UK sales and marketing agent for Åry Trays, but this is her separate venture. It's been worth the wait because they truly are deluxe and the perfect product to show off all the intricate patterns that make up my designs. They are 4.8mm thick and made from eucalyptus wood with a laminated heat resistant melamine surface and a black velour backing. They have been handcrafted in Britain which shows there is still some manufacturing in existence here after all. 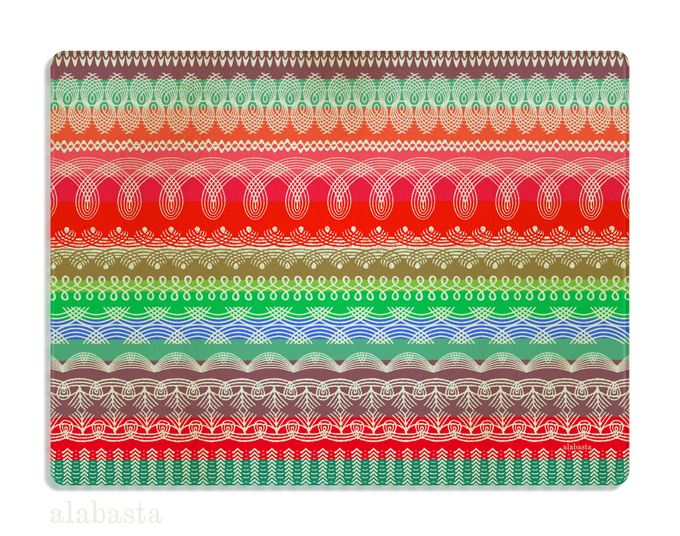 The mats are available to buy individually online in various sizes from Avenida Home where you can see the entire range that Isabel has developed. They range in price from £5 for a 10cm square coaster, £12 for A4 size mats and £18 for a larger 38.2 x 29.2cm table mat. Glass platters are £32. They will be launched properly at Tent London in September, and they will also form part of an exhibition at Contemporary Applied Arts this September (more about this nearer the time). 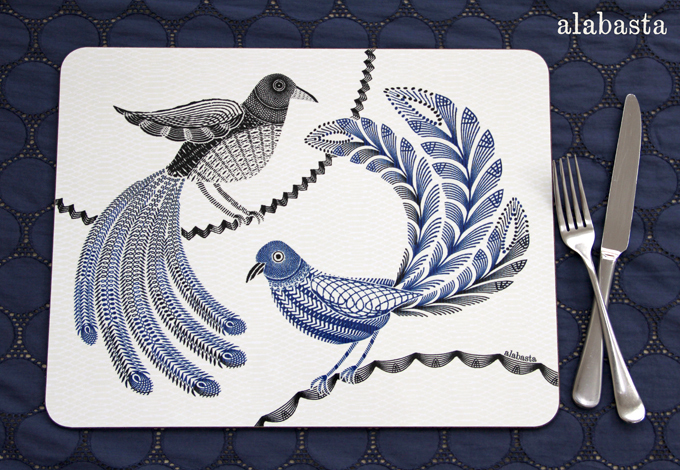 To summarise, these brand new tabletop accessories are currently available to order online at Avenida Home only at the moment and delivery will be within 4 weeks, or you can find the Love Birds mats in store at Liberty. I will list any new stockists as soon as I know where they are selling. 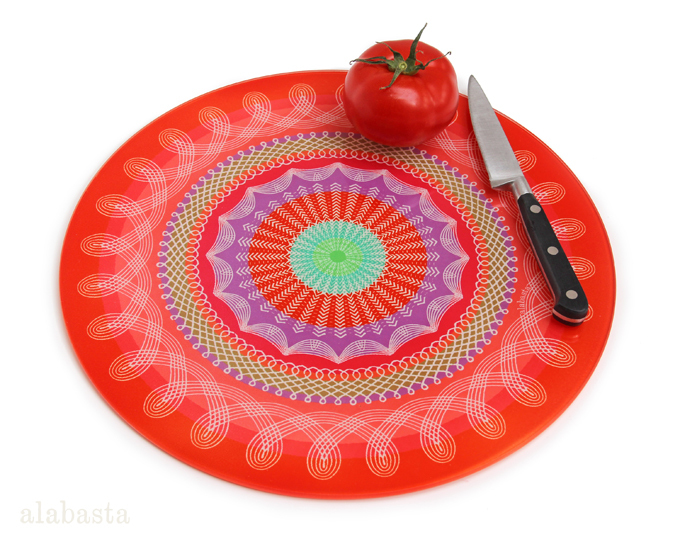 Alabasta trays are available from the stockists on the sidebar to the right of this page. All photos copyright Asta Barrington.